PN4000 is a modular CAD/CAM system for automated control of production machines in the fields of cutting (laser, oxyfuel, plasma, water jet), punching, punch-lasers combined, shearing and milling. 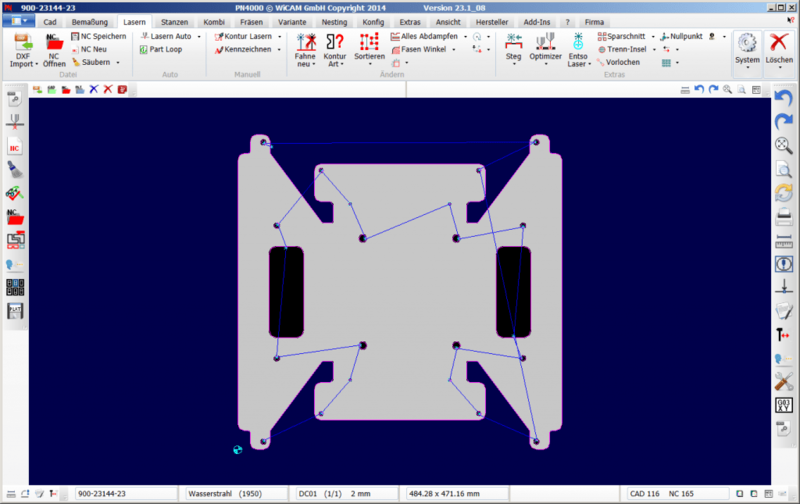 Special functions are available for programming water jet systems. 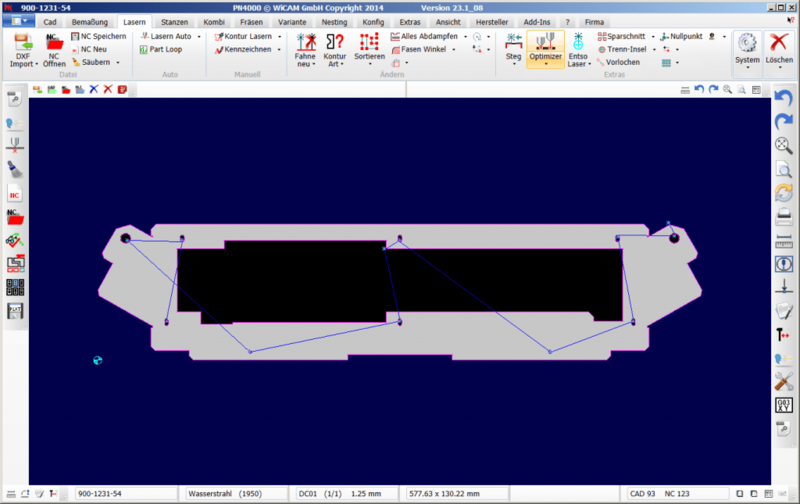 In addition to the support of multi-head aggregates, chamfer information is also interpreted in CAD and automatically converted into correct machining operations.